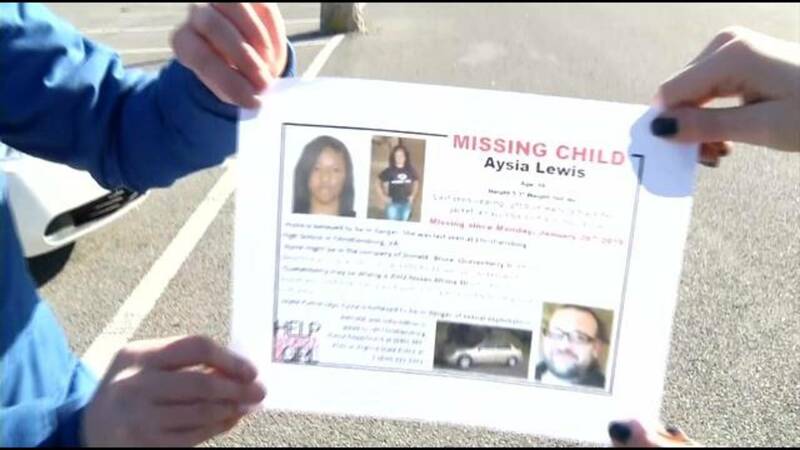 BLACKSBURG (WSLS 10) - When a girl is reported missing, Southwest Virginia based Help Save the Next Girl is there to do just that. "What we do that's different is that we actually contact people we work 24-7. We contact the media, we contact law-enforcement in the area.," said organizer Kenny Jarels. Within the hour of a report, organizer Kenny Jarels says they collect information from police and parents and put together a flyer to distribute to the masses. When 16-year-old Aysia Lewis was reported missing and endangered, their post reached thousands. "We had between 200 to 300,000 people reached with about 15,000 to 16,000 shares," Jarles explained. That's not including Twitter, where Jarels says Lewis was the #1 retweet missing person. And that's what Jarels says, works. Law enforcement agencies often use Help Save the Next Girl to push information in a specific area. When Christiansburg Police got a lead on suspect Donald Quesenberry and Lewis' whereabouts, Jarles got the call. Jarles said, "OK Kenny, I need for you the flood that area now and so we did and we got the word out." He uses more than 50,000 contacts developed across the country since the organization started five years ago to help spread information to find the missing and runaways. It helps in cases like Lewis' which did not qualify for an amber alert because the teen eft willingly. "We're now using those same contacts that we made for the missing. And it's worked," Jarels explained. Jarels says while most people may only see the stories that don't end well, they often see a lot of happy endings.